Thank you for your interest in our IRT Group Case Study. To download just complete and submit the form. 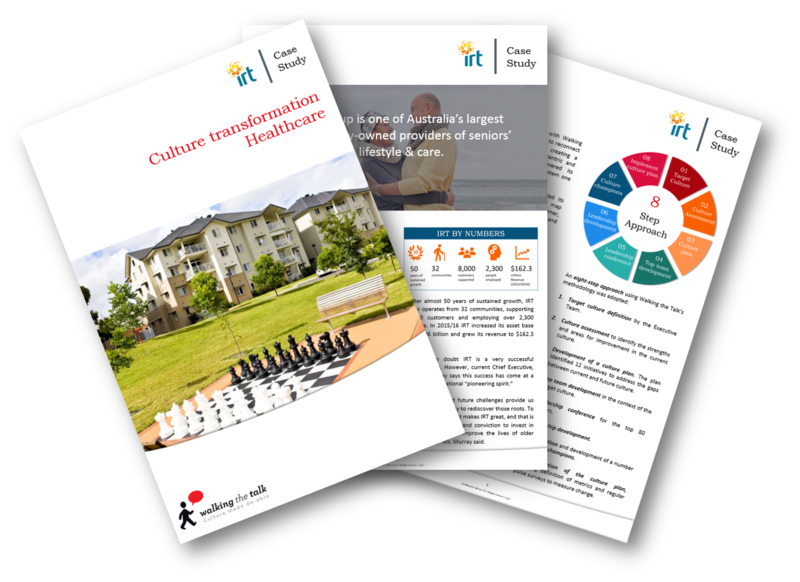 IRT Group is one of Australia's largest community-owned providers of seniors lifestyle & care. After almost 50 years of sustained growth, IRT now operates 32 communities, supporting 8,000 customers and employing over 2,300 people. As the company grew, there was a feeling they had lost touch with their "roots and pioneering spirit".